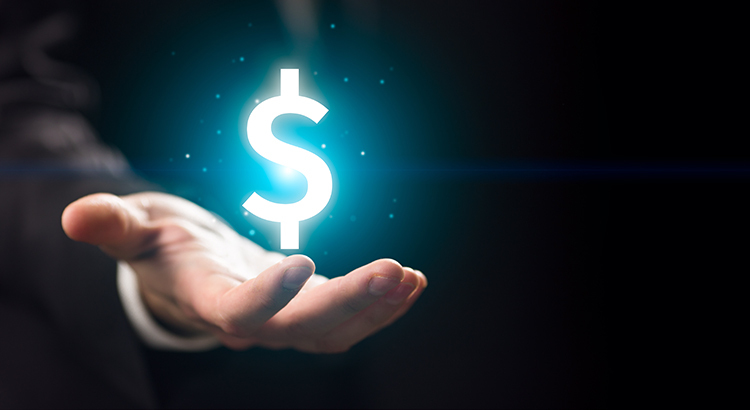 According to Freddie Mac’s latest Primary Mortgage Market Survey, interest rates for a 30-year fixed rate mortgage are currently at 3.96%, which is still near record lows in comparison to recent history! The interest rate you secure when buying a home not only greatly impacts your monthly housing costs, but also impacts your purchasing power. 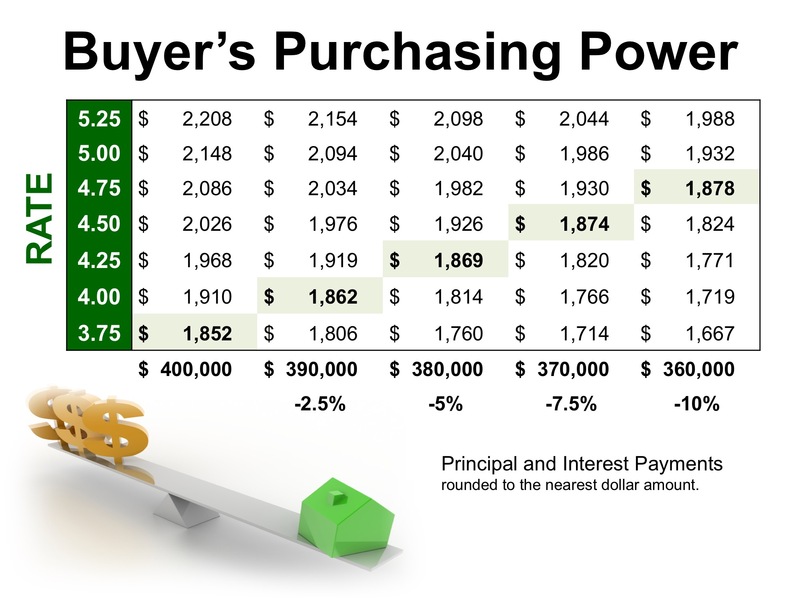 Purchasing power, simply put, is the amount of home you can afford to buy for the budget you have available to spend. As rates increase, the price of the house you can afford will decrease if you plan to stay within a certain monthly housing budget. The chart below shows what impact rising interest rates would have if you planned to purchase a home within the national median price range, and planned to keep your principal and interest payments between $1,850-$1,900 a month. With each quarter of a percent increase in interest rate, the value of the home you can afford decreases by 2.5% (in this example, $10,000). Experts predict that mortgage rates will be closer to 5% by this time next year.